This logo will be used on a custom medal! Why: Whether you are a runner or not, we can all understand that human trafficking is a cause worth supporting. Through rescuing and education, Abolition International is making strides to end this terrible travesty. When: The weekend of February 22-23, 2014. Whether you are already running the Gasparilla Distance Classic or not – who doesn’t love more bling! What: I will be running the Gasparilla a Distance Classic with Team Freedom for Abolition International – join me wherever you are! The Gasparilla Distance Classic has a variety of distances: 5K, 8K, 15K and half marathon. I will be using the same distances for my virtual race. Pick the distance that suits you! 1. 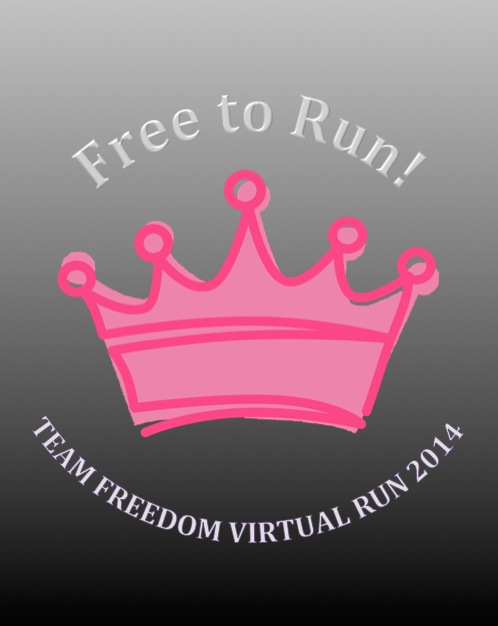 Support my running with Team Freedom for Abolition International with a minimum of $25. All proceeds directly go to them. Click here to give! – Your distance selection: 5K, 8K, 15K or half marathon. 3. Then run the distance the weekend of February 22-23 and wait for your medal in the mail shortly after. 4. Deadline to register is January 31st, 2014. That is such a great cause to run for. I’m going to have to look into that organization more so that maybe my company can donate to them in the next few months. Every month the company chooses one charity or organization that supports out mission to Equip, Empower, and Educate women, and to protect women and children. I just found this, is there anyway to still register? Unfortunately I don’t have any extras. I ordered exactly the number I needed. I’m so sorry.